When you think of a pen the first thing that comes to one's mind is that if should look good and at the same time write well. Our prestigious client "Cambridge University Press" gave these full metal body roller pens as a part of their corporate gifting hamper to their clients. These pens were laser engraved with the clients logo and packed in a transparent box. As asked by the client we had gift wrapped the pen with client branding gift wrap paper. Pens are a great gifting option as they can be used by one and all. The look of this pen is very appealing, light weight but looks solid. It writes smoothly too. Giftt Hub has a large variety of light weight and exclusive pens like the magnetic pen, sand timer pen, ball point pen with highlighter and stylus, plastic body pen, roller pens, metal clip pens, multi colours pens, pens with stylus and torch , stylus pen and many more options. We help you select the right corporate gifting products as per your budget and requirement. Giftt Hub also brands the products with your company logo or the required artwork. We can also customise the corporate gifts and gift wrap them if required. Our aim is to make "gifting simpler"for our clients. This unique 4 in 1 laser metal ballpoint pen is a pocket friendly and attractive corporate gifting option. It's just not a pen but when needed can be converted into a stylus for your touchscreen smart phones or ipads. It also has a bright LED flashlight. The pen also has a laser light which helps as a pointer in presentations. This stylish pen is packed a neat MDF box. It is a premium corporate gift with space for branding. We not only have a wide range of multi purpose pens but also promotional pens that serve as a brilliant options for mass gifting or promotional gifting. These pens have many colours and branding options and are reasonably priced too. To see our entire range of promotional pen and other unique and innovative gifting options log in to our website www.giftthub.com For bulk queries you can write in to us at hello@giftthub.com You can call us at - 022 40129492 If you like our products and wish to see regular update you can like us on facebook. This sleek and unique gifting product is not just a USB Hub but a portable light to help you while working in the dark. It is a flexible device with four USB ports that makes it a multi purpose gifting product. Ample space for branding behind the light. For more such different and innovative corporate gifting products connect us us at hello@giftthub.com. You can also visit our website www.giftthub.com for our latest and new range of new year gifting ideas. Torches and lamps are products that are needed by corporates. Torch and lamps work very well not only as mass rural gifting or as promotional products but also as corporate gifts. Gone are the days of the traditional lamps and torches. Giftt Hub presents to you stylish and sleek lamps and torches. We have glow in the night torch, flexi torch, focus light torch, zoom light torch, swan lamps and many more. To discover some unique and stylish corporate gifting products you can view our website www.giftthub.com. The virtual reality box better knows as the "VR BOX" has become the latest trend setter in the market, Experience virtual reality with these VR Boxes you can view an immersive, phenomenal virtual world while playing games or watching a 3D movie or 3D videos. The view of the virtual reality world with these 3D VR boxes is an amazing experience and thus make it a great corporate giveaway. The Virtual reality glasses have durable and adjustable straps due to which all age groups can enjoy the experience, it also has a soft padding in front of the VR cardboard making it extremely comfortable to wear. Since the VR Boxes have a front cover they keep the dust out you can easily slide the front cover to clean the lense in case of any dust. This feature is an important part as it keeps the light out, for you to have a better experience of virtual world. The VR box is set to give you mind-blowing experiences that look set to revolutionise gaming and entertainment. With all these spectacular feature the VR Boxes have gone viral not only the corporate industry but also in the education sector. This technology has revolutionised the 3D virtual sector and it makes way for an amazing corporate gift, not only for the staff but also their families. .The 3D VR box have adjustable lense that give you a better virtual reality experience. 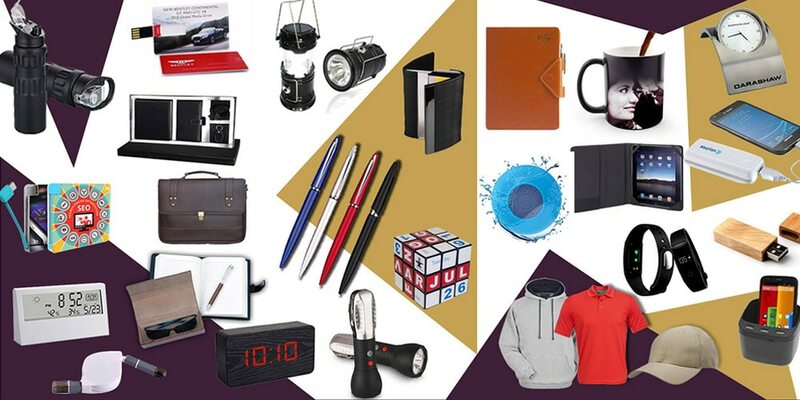 You many more innovative and trending corporate gifting products you can view our website - www.giftthub.com Giftt Hub provides good quality and best prices and caters for all your corporate gifting products. We not only provide promotional giveaways but also awards, trophies, wooden certificates, event related gifting and much more.